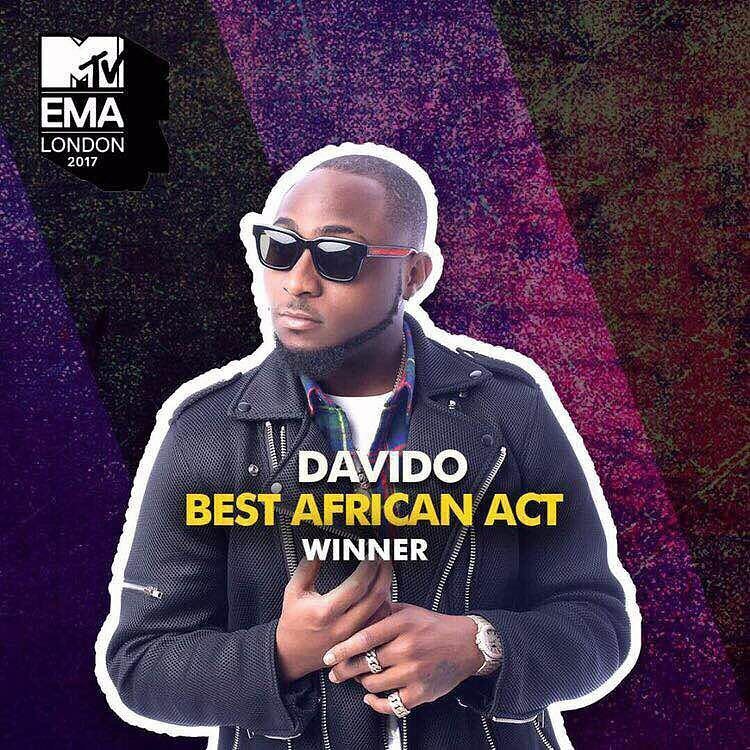 DMW Boss Davido emerged the winner of the “Best African Act” category at the 2017 MTV EMAs which took place last night. Davido who was announced the winner ahead of the show, beat out Wizkid, Babes Wodumo, C4 Pedro, Nasty C and Nyashinski. It has surely been a “Fia” year for Davido.